Set up your account and start your job/intern search today! The dedicated staff of Walton Career Services will assist you as you make decisions today that will affect your career tomorrow! View a list of Upcoming Career Services Events. Mar 18-22 .................... Spring Break! Apr 30 ............................ Bell Ringer Day! May 6-10 ....................... Finals Week! For questions about any of these events, please email careerservices@walton.uark.edu. Check Handshake and the University Career Development Center's calendar for additional campus wide events and career fairs. The dedicated staff of Career Services strive to connect you with outstanding students to meet your hiring needs, including full-time employment, part-time positions, and internships. We can help you recruit and engage students in many different ways! Mary Harmon, managing director/tax counsel (retired) for Goldman Sachs, will be the speaker for Walton College spring commencement on Saturday, May 11, at Bud Walton Arena. 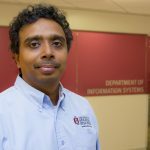 Viswanath Venkatesh, a distinguished professor in the Department of Information Systems and the George & Boyce Billingsley Endowed Chair in Information Systems, has been recognized with the Outstanding All-Around Faculty Award for 2018-19 by the Walton College. 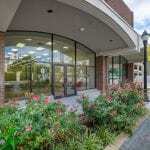 Open enrollment, executive education courses are being offered at the new Walton College facility in Little Rock, Walton College at 2nd & Main. Percentage of job-seeking Walton College undergraduates who were employed at graduation. The average salary for a Walton undergraduate business major. 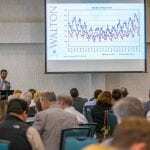 Walton graduates received an average of 3 job offers during their job search. from the latest Walton College Employment Survey. Our purpose: The core purpose of the Career Services office is to provide students with knowledge, skills, and insight in the career development, professional development and employment processes. Our mission: To assist students with positive career explorations, whether their chosen career path includes pursuit of experiential educational experiences, pursuit of an advanced degree or the quest for post-graduation employment. The target market for our services includes the undergraduate and graduate Walton College student population and those employers and education institutions interested in recruiting the best.